There is a substance our body’s produce internally, that has been recognized to have direct-correlation with levels produced in the longest-living creatures and humans — that being, the beings that contain the most, live longest. In research conducted by Richard Cutler, at the Gerontology Research Center, at the National Institutes of Health, individual animals and animal species, that produced higher levels of a particular enzyme — lived longer than those with lower levels. His research showed that rodents, like mice — have the lowest levels among mammals, and that levels are highest among longer living mammals — humans being the highest. See each species, including humans, has a species-specific maximum lifespan, or “the longest any member of that species can live” — before its mitochondria shut down, cellular energy production stops and the organism dies. For humans, the species-specific maximum lifespan is approximately 120 years, though there have been a few reports of people who’ve reached as old as 160, though it’s yet to be sufficiently proven — since life records weren’t obviously always as advanced as currently so. 120 years isn’t too shabby for most of us. But it’s not very common either. So what constitutes this possibility? The Longest Living Contain The Highest Levels of Something Called “SOD”. SOD, is short for “superoxide dismutase” — an internally-produced antioxidant-enzyme that ensures your survival. Superoxide Dismutase (SOD) is your ultimate weapon for cellular detox, fighting free radicals and reducing oxidative stress. Unlike a commonly known “secondary” antioxidant, SOD is typically produced internally, rather than supplied via diet. It is manufactured within your cells for cellular protection. And your cells are the basis of all life. SOD protects your immune system and DNA, and combats deadly oxidative stress by neutralizing free radicals. This is a large part of why SOD is perhaps the most powerful antioxidant in your body. But it also seems to be directly correlated with lifespan potential. For example, Cutler demonstrated that humans — produce an average of 90 micrograms per milliliter of SOD, and live an average of approximately 80 years. Yet — our closest primate relatives, chimpanzees, produce 40 milliliters of SOD and live an average of only 40 years! The SOD production levels are vastly different, yet tightly correlated to each animal’s life span. For example, though pigeons and rats weigh the same, pigeons live about 12 times longer! SOD’s #1 job is to neutralize your body’s most common free radical, called superoxide. (That’s why SOD is called “superoxide” DISMUTASE – because it activates a reaction known as dismutation – which converts harmful superoxide to hydrogen peroxide, which the body then converts to safe-form oxygen and water. Superoxide alone is the body’s most deadly free radical toxin, and SOD is what your body uses to render it obsolete. In fact, genetically engineered mice died within DAYS — from massive free-radical damage, as a result of not being able to produce their own SOD! It’s so vital to your survival that its production began when you were still in your Mother’s womb. All other common antioxidants, while significant in their own right, pale in comparison. That’s why SOD is referred to as the most powerful antioxidant in your body. In fact, SOD is said to be — 3,500 times more powerful than vitamin C! This is extremely important considering oxidative stress is said to be our #1 threat against our health and longevity. Think about it: We introduce toxic interference to our bodies on a never-ending basis, including everything from — chemicals, carcinogens, pesticides, herbicides, genetically-modified organisms, heavy metals, electro-magnetic fields and radiation… and the list goes on. Avoiding all of these is virtually impossible. That’s why SOD is so critical. It’s the body’s ammunition that works to neutralize these toxic culprits that spawn free radicals and result in harmful oxidative stress! This is why boosting SOD can aid us to not only neutralize free radicals and reduce inflammation, but also extend life. Because for decades, numerous studies have confirmed that superoxide and other free radicals contribute to aging and premature death — thus, neutralizing this oxidative stress can extend life. For years, scientists have sought a way to boost SOD. Also, because SOD is present both inside and outside cell membranes, that’s why it plays such a critical role in reducing oxidative stress and the taming of inflammation. In our body, SOD detoxifies harmful substances and reduces oxidative stress — that very well could contribute to aging and life-sabotaging disease. Another problem is — SOD gets destroyed in stomach acid! But luckily, this juggernaut may be finally solved. For the first time in history, there is a new way to deliver SOD straight into your body…and in record-potency bioavailable form. It has to do with a recent breakthrough in Europe, using the oceans #1 life-giving food – Marine Phytoplankton — which are the most potent naturally containing source of SOD in nature. Now this is powerful beyond magnitude, because it quite literally provided all human life on Earth. Phytoplankton contains loads of trace minerals and phytochemicals that provides your body with the original nutrient-dense life that protect your cells and tissues at an unprecedented level — supporting the most optimum health obtainable. The right type of marine phytoplankton has a cell wall that is instantly digestible. That means it is absorbable and bioavailable at a cellular level! It’s 5 times smaller than red-blood cells – so all the essential amino and fatty acids (nano-sized) are able to pass through the blood-brain barrier and nourish your brain directly! And because marine phytoplankton is a “uni-cellular” organism — like bacteria, it exists in extremely small nano-sized particles. (Our bodies require small particles to be readily absorbed into the bloodstream). This is huge because it allows for direct-sublingual absorption as well. And as an heirloom original source of life — (in a supercharged bio-available, premier concentrated form) — there is simply no better place to find your SOD’s. But what trumps all this excitement is that the potential for marine phytoplankton has just entered a completely new paradigm. 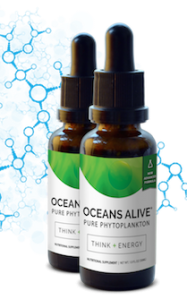 Over the last several years; a significant amount of research, development, scientific studies and discoveries have produced and revealed the profound benefits of a new enhanced marine phytoplankton — and it’s abilities to stimulate the highest levels of wellness ever thought possible. This new “super” strain is allegedly nearly ONE-THOUSAND times more nutrient dense than any previous strain in existence. In fact, two distinct EU (European Union) Novel Functional Food certificates have been awarded for this formulation — and it is the only existing-formula that has EU certification for marine phytoplankton internationally. Because of this, this one of a kind marine phytoplankton is in very high demand by the people who learn about this. 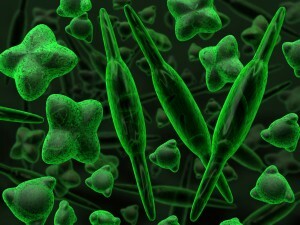 After all… Marine Phytoplankton — is not only natures #1 resource for SOD, but it’s also the food that powers the planet. Strictly put, our entire ecosystem is dependent on Marine Phytoplankton. Like we mentioned, life on Earth would simply cease to exist without it. It is an essential provider of life for us all — even at its small microscopic size; it’s so nutrient-rich that it even powers the largest animal on our planet. Even the great “blue whale” is fed through marine-phytoplankton, and could not exist without it! For good reason, marine-phytoplankton is known as “Mother Nature’s Colostrum” — or rather, the “breast-milk” produced in the first hours following birth. It’s the substance that provides your body and immune system with life’s essential nutrition. Because much like colostrum, phytoplankton represents the beginning of life. It also happens to be nature’s perfect source of SOD, because S.O.D. requires necessary minerals as co-factor – like iron, zinc and manganese, which Phytoplankton packs. Also, Marine Phytoplankton, for human consumption, requires a rich trace-mineral blend to serve as a stabilizer and natural preservative to protect the integrity of the Phytoplankton. These minerals aid greatly in its performance to best serve your health. Add Potential Decades To Your Life! 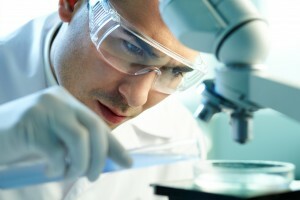 A new breakthrough in life-extension has been realized. A recently discovered patent-pending process, formulated in Spain, has demonstrated to be the world’s highest-containing SOD source, in a novel functional food – a naturally enhanced heirloom phytoplankton. After a reported two-years of process perfection, the result is now what is said to be the most potent, nutrient dense marine phytoplankton we have ever had access to on planet Earth. Due to a revolutionary, and patent-pending European process in genetic-selection, these boundaries have been made possible with a new breed of marine-phytoplankton — never before experienced by man. Not only does it pose a revolutionary breakthrough in cellular health and DNA repair, but also this new advanced formula contains up to SEVEN HUNDRED TIMES the SOD — of any living food on Earth! And again, because marine phytoplankton is a “uni-cellular” organism — like bacteria, it exists in extremely small nano-sized particles. Our bodies require small particles to be readily absorbed into the bloodstream. What’s more is, nano particles are small enough to be absorbed sublingually — before they even need enter your stomach. It really is revolutionary. As an heirloom original source of life, in a supercharged bio-available, premier concentrated form — it makes for the ultimate longevity food. What’s most exciting to me is being able to witness, for the first time in the history of life on Earth, this revolutionary new form of Marine Phytoplankton now being officially made available to the public.